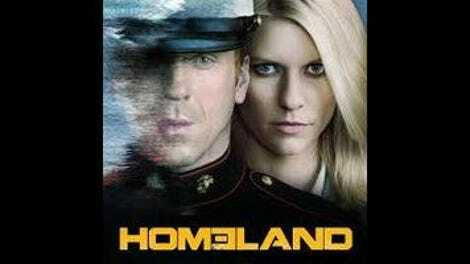 This season of Homeland has featured a lot of driving, whether it’s Jonas driving Carrie to a remote cabin to figure out who made an attempt on her life, Carrie driving to Amsterdam to track down the presumed-dead Ahmad Nazari, or Allison and Ivan driving to out-of-the-way rendezvous points to scheme and exchange pet names. It’s a fitting motif for Homeland’s Berlin reboot, with all the characters now within a stone’s throw of the world’s most prestigious and fearsome motorways. But the driving motif too closely echoes the experience of watching this season, which, in its middle third, feels like an interminable road trip. Every time it seems like we’re closing in on something compelling, up pops a mile marker that says otherwise. By the end of “All About Allison,” even poor Quinn, who has volunteered for a wild-and-crazy Syrian road trip, has grown impatient about getting to the destination as quickly as possible. Not since season three has pacing been such a stumbling block for Homeland, which is barely treading water as it finds a way to bridge the foundational first third of the season and what will hopefully be the climactic final third. Serialized dramas frequently sag at the midway point of the season, but it seldom happens quite this dramatically. If “Allison” isn’t Homeland’s dullest episode to date, it’s certainly close. Of the three plots in play, one of them involves Saul confined to a hotel room, pleading for more time to give Carrie some slack as she tries to get to the bottom of the significance behind the leaked documents. Saul entertains a couple of guests and attempts to massage what’s quickly becoming an international incident between the CIA and Mossad, but it seems like he’s mostly just taking naps. In another story, Quinn is hitching a ride to Syria, having recovered from his near-death experience with a renewed passion for assassinating his targets. He can’t find an opportunity to act during a pit stop in Kosovo, and before he knows it, he’s incapacitated and en route back to Berlin. Most examples of a television show spinning its wheels aren’t quite this literal. Only Carrie’s plot has some legitimate forward movement, as Carrie lures Allison to a remote town in the hopes her former colleague can help her answer her questions about Nazari. Naturally, Allison isn’t nearly as much of a help as Carrie was hoping for, but with Numan’s help, she’s able to hack into the laptop she swiped from Nazari’s house. The leaked documents from Berlin station first put Carrie on the hunt for the truth, but it’s another private document—the nostalgic Nazari’s vacation photo wallpaper—that allows Carrie to snap the pieces into place. It’s Allison. The moment of discovery is thrilling, but a lot less thrilling than it should have been, and for the wrong reasons. Carrie’s revelation is mostly exciting because it means the season can finally burn through the rest of its gunpowder. Allison remains a cipher, even as her machinations drive the plot. 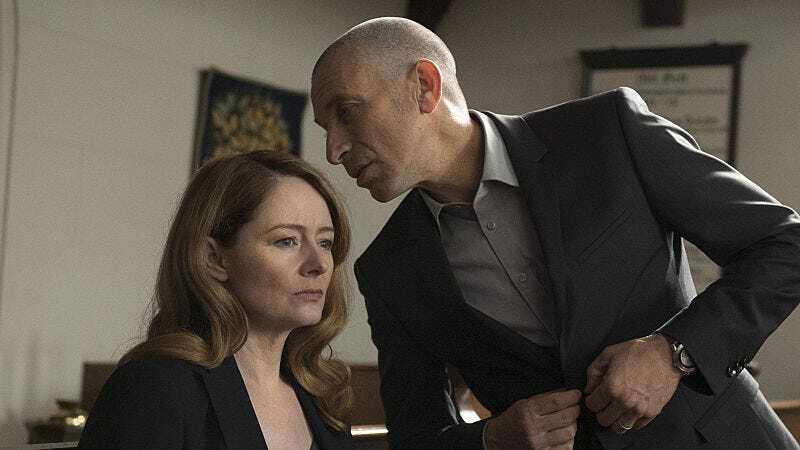 It’s a relief to watch Carrie finally find the puzzle’s more important piece, but there’s nothing inherently interesting about Allison’s involvement because she lacks the presence of the big bad she’s supposed to be. To its credit, “Allison” delivers on its title with some explanation of who the character is and some background that helps illuminate why she’s been a quietly menacing presence as opposed to a more straightforward antagonist like Tasneem last season, or even Senator Lockhart circa season three. Allison is toiling away in Baghdad station in 2005 when Carrie, looking green and fresh out of Langley training, arrives to assume Allison’s post. Allison introduces Carrie to Samir Khalil, aka Touchstone, the Iraqi judge whose attempt to contact Carrie would later result in an attempt on her life. Khalil is desperately concerned about Nazari, who he believes is feeding information about Sunni judges to the Shia death squads, but Allison forbids Carrie from following up because Nazari is one of her most valuable assets. The added complication is that Nazari has fallen in love with her, and while Allison’s feelings don’t appear to be fully reciprocal, she’s at least willing to meet him in St. Lucia and help him smuggle $8 million out of the country. They meet to put the final touches in place, and she realizes she’s walked into a trap when Ivan emerges from the shadows to make her an offer to which she can’t say nyet. A covert partnership with Ivan not only keeps Allison out of jail, it establishes a symbiotic relationship that allows them both to get ahead in their respective agencies. The history of Allison and Ivan’s relationship elucidates the contradictions of Allison’s character. It explains why she’s so squirrelly about the moves she’s making, why she had no problem burning Saul to save herself, and why she was visibly shaken when she saw Carrie’s proof of death photo. It also explains the character’s hollowness. Allison isn’t a true believer like Tasneem or a demagogue like Lockhart, and she’s not a willing double agent for the SVR. She’s just a Wisconsin girl who joined the agency with good intentions, only to grow weary of watching her fine Italian garments ruined by Iraqi dust in the name of foisting democracy onto societies that actively resist it. As a villain, she lacks agency because she’s merely carrying out Ivan’s orders, not implementing any of her own. Her only actual goal is staying out of prison. Allison and Ivan’s arrangement isn’t unlike Tasneem’s with Dennis Boyd last season, except that Allison has been under Ivan’s thumb for a decade and appears to have developed a serious case of Stockholm Syndrome. But it’s a less interesting relationship because Ivan isn’t as compelling a character as Tasneem, who the audience spent more time with, and who was actively manipulating Carrie rather than struggling to fend her off. Despite the episode’s shortcomings, it serves the important function of clearing the bottleneck that formed in the story after Allison was revealed as the mole in “Why Is This Night Different?” The plot is constructed in such a way that the momentum has to build, and the characters who have spent most of the season trapped in tenuously related storylines have to come together to find a solution. Finally, the show that use to tell its story at a furious pace can stop operating under a self-imposed speed limit. The flashback stuff with Carrie was great, and creates a nice contrast with the scene between Carrie and During in Beirut, when he tells her she seems more comfortable in war zones than out of them. There was time when Carrie didn’t feel so at home in a city like Baghdad, and her trepidation comes through beautifully between Claire Danes’ performance and director Dan Attias’ kinetic tight shots. Just when you thought this would be the first season of Homeland without a glimpse of Nicholas Brody, there’s his picture up in Baghdad station with the other prisoners of war. It’s a charming detail. I seriously hope there’s a really great payoff coming with Quinn and that the show isn’t literally running its characters in circles. I’ve been meaning to mention this all season, but composer Sean Callery really outdid himself with the score this season. The piece that accompanies the Carrie and Numan hacking scenes is beguiling.